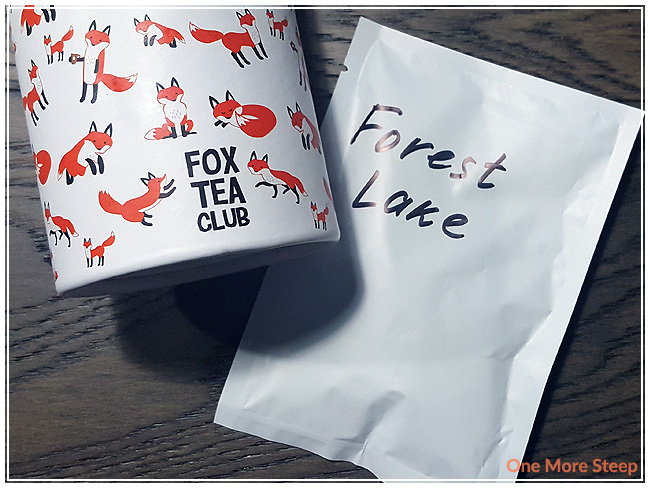 Fox Tea Club has provided me with Forest Lake for the purposes of providing an honest review. With a name like Forest Lake, I wasn’t sure what to expect this tea to smell like. Would it smell like trees? When I opened the packaging, I was immediately smelling the smokey aroma that is unmistakably lapsang souchong. There are some light fruity undertones to the smokey dry leaves. I can make out the aroma of berries and it almost reminds me of late summer. The unfortunate thing is that there were a lot of forest fires near where I live this past summer, so Forest Lakes reminds me a lot of this particular past summer due to the smokey aroma. Officially, the list of ingredients for Forest Lake is: black tea, cranberry, pine buds, rowan, and sea buckthorn. 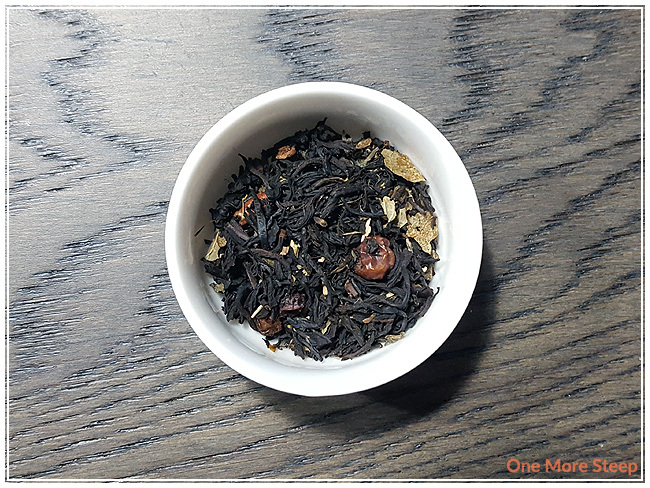 At the time of writing, the description for this black tea blend included mention of lapsang souchong, sorbus, and currant. 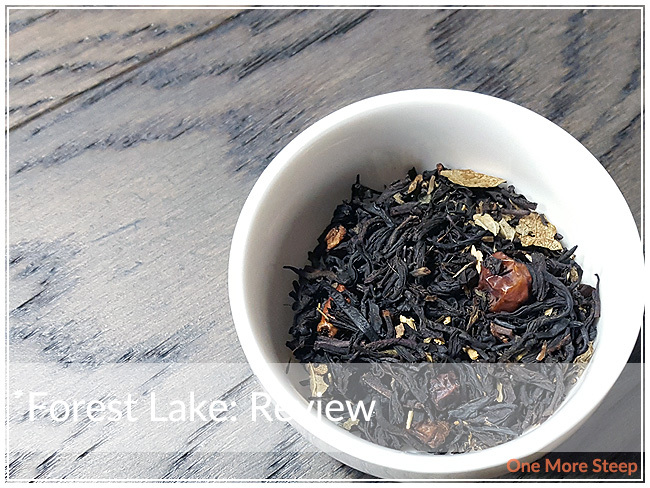 Fox Tea Club recommends steeping Forest Lake in 205°F (96°C) for 3 to 5 minutes and suggests that the leaves can be used for 2 steeps. My initial steep of Forest Lake was at 200°F (93°C) for 5 minutes. Forest Lake steeps to a beautiful golden colour, there’s a bit of a musky undertone to this tea and when I smell it, I can’t make out the berries that were so obviously in the dry leaf. On first sip, I’m primarily confronted with the smokey nature of the black tea base. It’s malty, robust, and there’s a hint of sour at the end of each sip – not so much that it’s overwhelming, but just enough to know that it’s there. 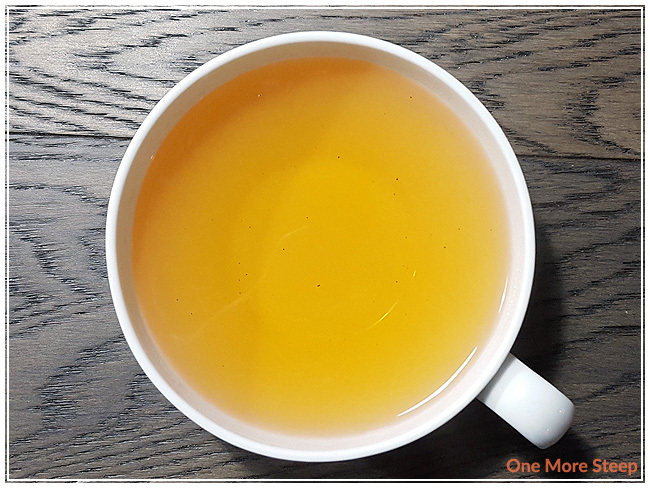 The smokiness is strong in this black tea blend, mostly because it’s covers the smell and the taste senses – but there’s also hints of sweetness and fruitiness from the berries, but that takes a bit more effort to come out since it’s overwhelmed by the smokey flavours. I did resteep Forest Lake, mostly because Fox Tea Club suggested that it was possible. 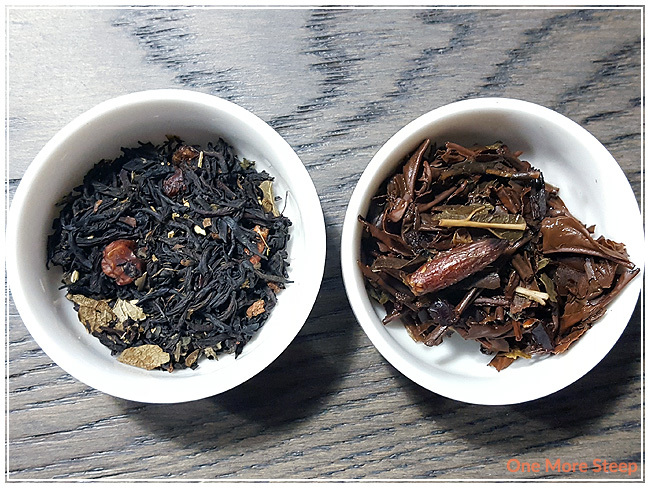 It was – I found the smokiness to be more subdued compared to the initial steep, which allowed the other flavours in the tea blend to come out more. I attempted a second resteep of this tea and found that it was quite lacking in flavour compared to the first two steeps. I would say that Forest Lake is good for one more steep only. I thought that Fox Tea Club’s Forest Lake was just okay. I’m not generally a fan of lapsang souchong or smokey blends, and I think that did play a part in my rating of this black tea blend. I did enjoy the subtleties of the berries in this tea, when I was ale to taste them. A touch of sweetener may help in drawing out the fruity flavours more. I am always glad that I don’t have allergies or food sensitivities, but do take care if you’re trying this tea if you have any fruit allergies – I would suggest contacting Fox Tea Club directly for the full ingredients list if you have any concerns since some of the ingredients mentioned in the description are missing from the ingredients list on the product page.